Every year, more and more competitors are taking our prep courses, getting personalized feedback on their practices, and making their way into the Finals of national level events like the American Kennel Club (AKC) National Agility Championship. In this prep course, we share with you our exact approach to trial preparation in an easy-to-understand way that won't leave you feeling overwhelmed or confused. Keep in mind that not everyone who takes this course actually attends the AKC Nationals. For those handlers, past National events are the source of the sequences they run in training, and everything they learn helps them run better at their weekend trials. Understanding the basics of course design and common traps will give you a competitive edge at your next trial. Discover what works best for you and your dog by running sequences several different ways. Includes demonstrations and analysis. Expand your skills with a nested challenge sequence that will help you over prepare for the event. Optional, and the most powerful tool that you can use for self-improvement. Send us your sequences and we will help you run them better. I can’t imagine how unnerved I would have been . . .
this was so enlightening . . .
Sign up for the 2019 Nationals Prep Course now! This is your chance to train with Jennifer, Sarah and Esteban. Registration closes February 1st and the first lesson will be posted February 2nd. You will have LIFETIME ACCESS to the material. Jennifer Crank is the defending 16" AKC National Agility Champion and has reached the Finals of the AKC National Agility Championship twenty-one times over the last 13 years. 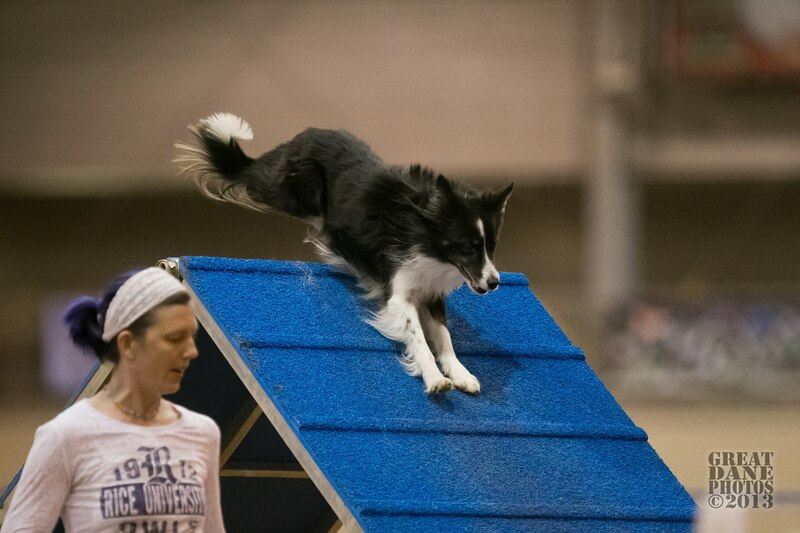 Over the past year, Jennifer has also won the 16" class at the Masters Agility Championship at Westminster, won the USDAA Cynosport Steeplechase Championship, and earned a silver individual medal at the FCI Agility World Championship. In this course, Jennifer will demonstrate exercises with her dogs and explain key execution points with the Coach's Eye and provide course map analysis. Co-creator of Bad Dog Agility, Sarah Fernandezlopez has earned the AKC's Master Agility Championship with 4 different breeds over almost 20 years in the sport. 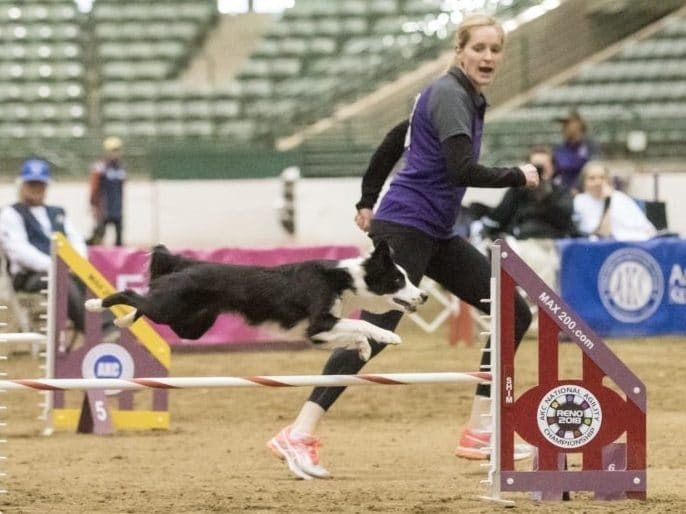 A competitor, seminar presenter, and teacher of agility, Sarah will demonstrate various exercises with her border collie and explain key execution points with the Coach's Eye. 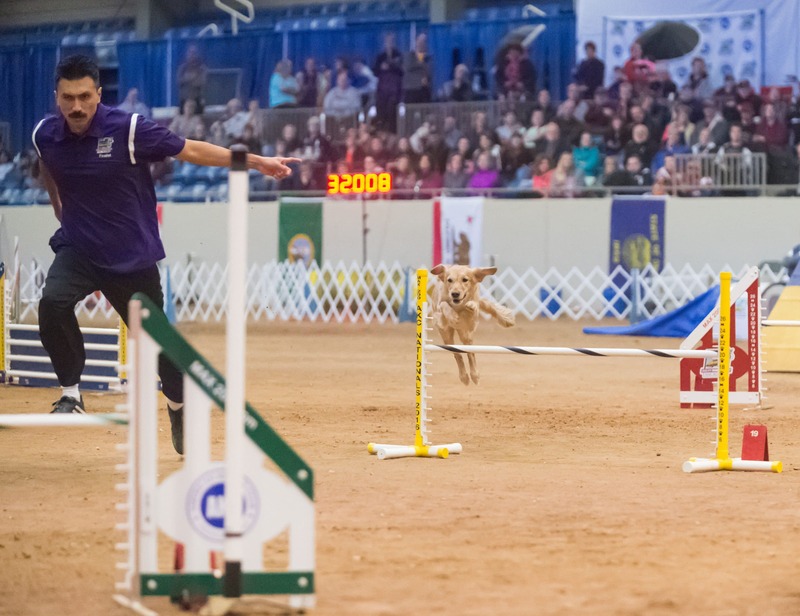 Co-creator of Bad Dog Agility, Esteban Fernandezlopez has made the 20" Final AKC National Agility Championship with Golden Retriever Gitchi in each of the past three years, finishing 3rd in 2017, 0.76 seconds behind the winner. In this course, Esteban will demonstrate exercises with his dogs and provide course map analysis. 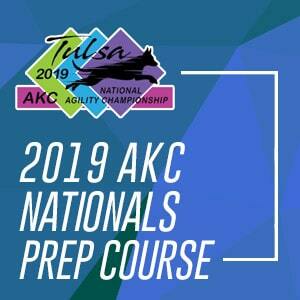 This course will help you and your dog excel in Tulsa by breaking down the actual courses from last year’s Nationals and creating practice exercises based on challenging sequences from those courses. Every week, beginning February 2nd, we will release a round from the event. Esteban and Jennifer will walk you through the course maps in the Coach’s Eye for all 3 rounds plus the Challengers Round and Finals from last year’s event. Understanding how judges design courses will help you quickly identify traps so that nothing will surprise you. Through video demonstrations and course analyses with the Coach’s Eye, we will advise you to handle the sequence in a variety of ways so you can decide which works best for you and your dog. Expand your skills with an 8-10 obstacle challenge sequence using the same layout. The challenge sequences have been designed to help you prepare for more difficult challenges you might see at the event. This feature is optional, and includes personalized feedback from Jennifer Crank, Sarah Fernandezlopez and Esteban Fernandezlopez. Learn from their experience, and bring an outsider’s eye into your training so that they can help you identify areas for improvement. Your mental preparation plays as much a part in your success as your handling and execution. Esteban will share the tips that have brought him success at the highest levels. Thank you so much for the valuable feedback. So much detail and explanation. Wow!!! Overall, one of the best online classes that I have taken. I loved the course. The course layout was extremely clear; it was easy to go right to the material I wanted to view and review. The course offered good course analysis and some helpful small sequences to practice one’s handling/timing. Overall, one of the best online classes that I have taken. That was amazing feedback! Thank you so much for the detail and time you took to analyze my run. I completely agree with your comments. You guys rock! Join Us Today and Excel at Your Next Event! Take this prep course, hone your handling skills, develop your mental preparation, and learn to read courses quickly, all with easy to set up small space exercises. Join today for LIFETIME access. Registration Ends on February 1st, 2019. You are fully protected by our 100% Satisfaction-Guarantee. If you’re not thrilled with our course, just let us know during the first 7 days and we will give you a full refund, no questions asked. Each exercise (including the 8-10 obstacle “challenge”) will use no more than 5 jumps and a tunnel. All exercises will fit in an area of 50′ x 60′. Do I need to be going to the AKC Nationals to benefit from this course? No. The 2018 AKC Nationals is the source for the exercises, but the skills needed are the same skills handlers encounter each weekend at their local trial. Who do I contact if I’m having trouble registering? You will have LIFETIME ACCESS to the material. How long can I get personal feedback? For those who choose the personal feedback option, will provide feedback for 4 months (through the end of May 2019). I have multiple dogs and would like personal feedback, how does that affect my registration? Please feel free to submit questions and video for multiple dogs in your household. Registration is per handler, not per dog.